Landslides Cripple Life: IIT Mandi's Low-Cost Solution Can Be a Life-Saver! Landslides Cripple Life in Himachal: IIT Mandi’s Low-Cost Solution Can Be a Life-Saver! Brijesh Rawat, one of the watchmen working in my building, belongs to the Himachali region and every year during the monsoons I find him worried and anxious. With reports of landslides claiming lives, I can only imagine his fear. Adding to his woes, even the phone networks are down, so he has no way to reach his family. One of the boons for the people of the region is a new device, which has been successfully developed by the Indian Institute of Technology, Mandi. It is a low-cost landslide monitoring and warning system against landslide disasters. 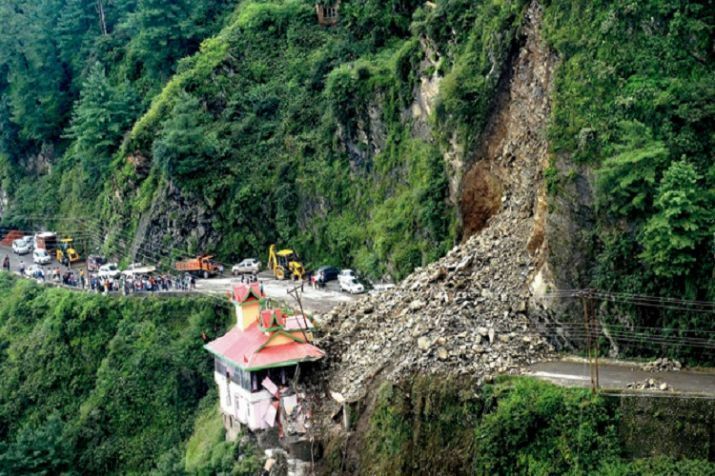 According to a report published in India Today, approximately 200 lives are lost each year due to landslides alone, and the government spends crores to cover the damage to infrastructure as well. – the landslide monitoring device detects any significant soil movement so that vehicular traffic can be alerted with the help of blinkers fitted on the roads. – the system will not only warn vehicular traffic via hooters and blinkers but also globally (via SMSes) if there are soil movements of different magnitudes in the vicinity of the deployed system. Ten such systems have been deployed in the Mandi region, and the hope is that the number of casualties caused due to the landslides reduces considerably.